Virgin Online Casino is operated by online gaming software provider GameSys, which purchased the Virgin Games venture from billionaire businessman Sir Richard Branson’s Virgin Group in 2013. The site is licensed to offer iGaming in the Garden State through its partnership with the Tropicana Casino & Resort, which operates its own site under the TropicanaCasino.com domain. Virgin Casino, which was one of the first sites to receive an NJ online gaming license, got a two month late start compared to its competition, opening its doors in January 2014. 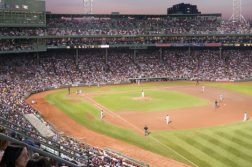 GameSys may not be a household name in the US, but the company is well-respected within the gambling industry and employs nearly 1,000 people at its headquarters in London. The company is known for creating the incredibly popular slots and bingo site, Jackpotjoy, and for launching the first ever real money, social media online gambling app on Facebook in the UK. GameSys has won several industry awards throughout the years and brings its iGaming expertise and experience to its New Jersey product. Create a Virgin Casino online account using the links on this page and enter the bonus code below, and get $25 absolutely free as an exclusive offer. When you make your first real-money deposit of at least $10, you’ll receive an additional bonus of up to $100 cashback on any first-week losses. Claim My Exclusive Free $25 Now! Virgin’s bonus for first time depositors is lower than some of its competitors, but much easier unlock and understand. 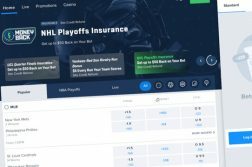 Instead of completing a lengthy wagering requirement, the site offers cash back on any losses during your first week of play, up to $100. Therefore, if you deposit $100 or more, your first $100 in losses will be paid back to your account in unrestricted cash. Strong software: the site is powered by an award-winning software development company, Gamesys. This provider has had much success in the UK market and is known for a safe experience. Game selection: one of the few NJ online casinos to offer 90 Ball Bingo, a game which enjoys a lot of popularity in the UK, as well as a good arrangement of table games and several exclusives, such as the Wonderland progressive slot. Virgin also has two other jackpot slots, one more than its sister casino, Tropicana Casino. Numerous promotions: Virgin is best known for consistently running multiple simultaneous promos, including complimenting sweepstakes and playback bonus that can be concurrently unlocked by playing the same games. They also feature a Community Jackpot in which real money players have a chance to win $10,000 at any time. Multiple rewards: the site offers both a V*Points loyalty program and a VIP program, allowing you to earn credit for both at the same time. Between both programs and the aforementioned near-constant promotions players usually earn multiple levels of benefits for playing any game. Slots collection is below average for New Jersey. The deposit bonus is on the low side, but makes it easy for players to win real cash back on their losses. Virgin boasts 237 casino games, including a large collection of slots, a diversified array of table games and several video poker machines. The site also offers 90 Ball Bingo, a game popular with its UK customers. Several games offered on the site were created by GameSys’ development studio, while others were produced by companies including IGT, SGi, High 5 Games and NetEnt. Players can choose from more than 200 slots based on a countless variety of themes, like Super Monopoly Money, Texas Tea, Secrets of the Forest, Golden Goddess and Montezuma. Tiki Totems and Deal or No Deal are both developed by GameSys and are exclusive to the site. Wonderland: Go deep down the rabbit hole in this 5-reel slot and you could hit a life-changing payday. When you begin, you’ll have the choice of shooting for a smaller jackpot, or going for the gold with the big jackpot. The progressives can be won during any of the bonus games with any size bet. Deal or No Deal: You’ll recognize this game from the hit TV show which awards huge sums of cash to winners. To make your own big score, first launch the bonus game by landing three Deal or No Deal symbols on reels one, three and five. Choose the right briefcase and take home the jackpot! Single Deck Blackjack: The simplest form of the game, played with just one deck. The dealer does not receive an initial hole card and blackjack pays 3:2. Multihand Blackjack: Increase your excitement fivefold by playing up to five hands at once. Vegas Downtown Blackjack: Play this Downtown Vegas blackjack table and up your odds of winning with the ability to split multiple times and double down on any two cards. Atlantic City Blackjack: This variant puts a twist on standard blackjack with the ability to split multiple times, double down on any two cards and surrender late. High Stakes Blackjack: Alternate Atlantic City variant with a higher bet limit. Vegas Strip Blackjack: Bask in the glitz and glamour of the Vegas Strip in this four-deck game, which allows multiple splitting and doubling down on any two cards. 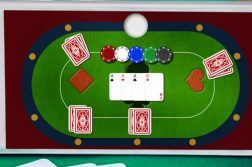 Virgin offers a very nice mix of table games, including some that most other NJ online casinos don’t offer, like Keno, Hi-Lo, and Pai Gow Poker. The site also spreads most standard games, including both European and American roulette, Craps, Pai Gow and Baccarat. Jacks or Better: Simply make a hand of a pair of jacks or higher and win. Bonus Poker: Similar to Jacks or Better, but with a premium placed on four of a kind hands of aces, twos, threes and fours. Double Bonus Poker: Four of a kind of twos, threes and fours earn more than fives through kings. Double Double Bonus Poker: Four of a kind hands with twos, threes or fours with any ace, two, three or four kicker receive a larger prize than four of a kinds of twos through kings. Triple Play Draw Poker: Choose between nine of your favorite games in one machine and play up to three hands at once. Five Play Draw Poker: Same as Triple Play Draw Poker, but with a max of five simultaneous hands. Virgin Online Casino gives its players ample reason to return to the site with a steady flow of deposit bonuses, seasonal offers and fun, creative promos which can net players free spins. To win money, however, it’s not even necessary to find a key yourself. All players which have placed bets within an hour of a key being discovered will share a portion of a Community Jackpot, which can contain up to $20,000. The more you have bet in that timeframe will determine how big of a slice of the pie that you get. What’s more, the winner gets paid twice, once for finding the key, and again as part of the shared jackpot. Once the prize is released, the prize pool is immediately replenished, allowing it to be won over and over again. If you have friends that you think would enjoy Virgin Online Casino, the site is happy to pay you for the referral. All you need to do is tell your friend to put your username in the “Referred by a Friend” field when registering their account. Not only will you earn $50 in bonus cash for your troubles, your friend will earn a free $10 in bonus money themselves. Every online casino worth its salt offers its players benefits for staying loyal to the brand, and Virgin is no different. The site’s rewards program is dubbed V*Points and awards points that you can use to trade in for bonus money. All games are not created equal, however, and you’ll earn more points depending on the games that you choose to play. Here’s a breakdown of what it takes to earn one V*Point. You’ll need 20 points before you can cash them in. Take advantage of regularly occurring bonus offers. Special birthday bonuses to celebrate your special day in style. Earn more V*Points in special promotions which include multipliers. Get your own personalized gambling advice. Win exclusive prizes in high-end drawings. Access to a VIP host tasked with keeping you happy. At Virgin Online, you can take advantage of several different methods for making deposits and withdrawals and be assured that each transaction is safe and secure. Cashier’s cage at the Tropicana Casino, walk away with your money instantly. Virgin Online Casino is powered by GameSys software, which is highly regarded in the industry for its safety and security. 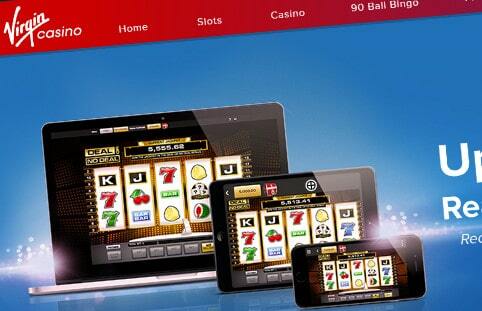 Web browser: The great thing about Virgin Casino is that there is no software to download in order to play. Simply navigate to the site from any major browser and click the game of your choice; you’ll then be brought directly to the table right inside your browser. iOS/Android: One of the things that makes online gambling so attractive is the fact that you can do it from anywhere in the state. The Virgin mobile app makes that process easy by allowing users to create their account, make a deposit and play all directly inside the app. All of the games offered on the web version of the casino are not available on mobile, however. But you still have a large variety of games to choose from, approximately 120 in total, across slots, video poker, blackjack, roulette, and other table games. Before you get in touch with customer support, check out the site’s FAQ page, which provides answers to some of the most common questions. If you don’t find your answer, you can contact a support agent by calling 844-737-7616, by email, or through the Live Chat feature. Customer support was prompt and very helpful when we tested the Live Chat feature. 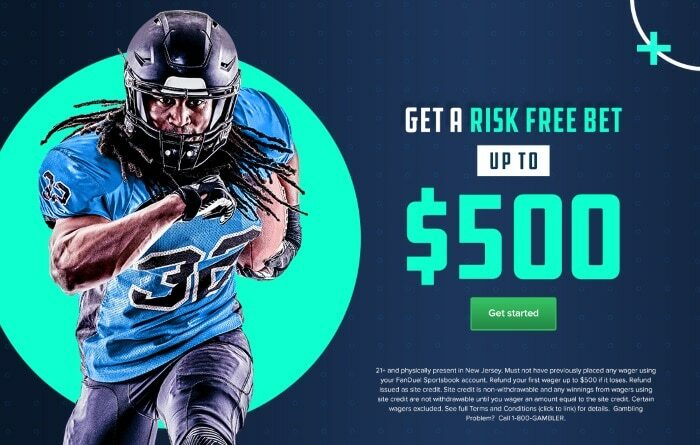 Claim my exclusive $25 no deposit bonus today! Virgin Casino’s software provider, GameSys, allows it to offer several exclusive games, along with three exciting jackpot slots. Players will enjoy rewards from the site’s lucrative loyalty and VIP programs, while having the chance to win a Community Jackpot worth up to $10,000. We give Virgin high marks and our full recommendation.